Director Derek Yee (爾冬陞) recently grumbled on his Weibo about working with actors who accept multiple projects at the same time, distracting their focus and performance. It was alleged that Derek was complaining about Eddie Peng (彭于晏) “lack of professionalism” and “unreasonable demands”. A strict and demanding director, Derek preferred to work with actors who are solely dedicated to filming his movies, without any other work commitments. He does not like actors talking on the phone and playing video games on the set. When Derek was directing Triple Tap <鎗王之王> in 2010, he was displeased by Chapman To (杜汶澤) simultaneously filming TVB sitcom, OL Supreme <女王辦公室>, at the time. Derek allegedly lost his temper and spoke harshly to Chapman on set. 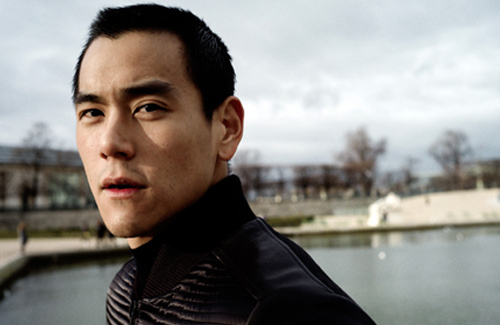 Raised in Canada, Eddie Peng shot to fame in 2011 after portraying a gymnast in Jump Ashin! <翻滾吧！阿信>. He made a successful transition from Taiwanese idol dramas to the Hong Kong and mainland Chinese market. Impressing in Cold War <寒戰> and Unbeatable <激戰>, Eddie now easily demands $4 million HKD for each film. Eddie was originally cast in the lead role of Derek’s new martial arts movie, Death Duel. However, Eddie also signed with director Zhang Yibai (張一白) to film That Rushed Year <匆匆那年> which will also begin filming in March. Eddie reportedly asked for very specific terms in his contract. Besides choosing his own makeup artist and hairstylist, Eddie also demanded to work only 12 hours every day, which include the time spent travelling to the filming set. He also preferred to be flown in a private jet, the method of travel for superstars such as Andy Lau (劉德華) in mainland China. Derek was angered by Eddie’s unreasonable demands and has replaced him with Lin Gengxin (林更新) to take over the lead. Peter Ho (何潤東) will step in Lin Gengxin’s former supporting role. Derek remained ambiguous over whom he was attacking, “The more speculations, the more contradictions there will be. I will tell you the truth the next few days!” However, Derek clarified that his comments were not targeted at Eddie. Derek joked that Eddie had offended Hong Kong tabloids, who spun the story about Eddie’s “unreasonable demands”. Derek Yee has already denied the actor in question is Eddie. He will be revealing who the actor is after CNY. Article has been updated to reflect Derek’s response.